Here’s what’s happening in the world of television for Sunday, November 11. All times are Eastern. Charmed (The CW, 9 p.m.): If you’ve not yet opened the newest edition of the Book Of Shadows, let us encourage you to get right on that. 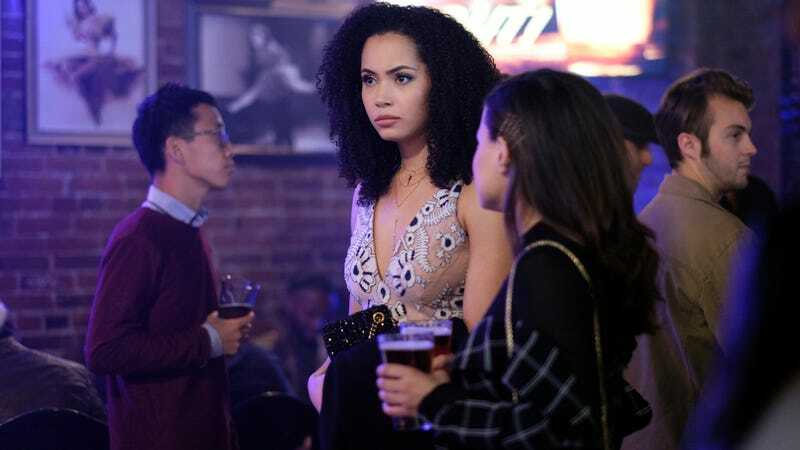 The new Charmed strikes a pretty darned excellent balance of camp, emotion, mythology, metaphor, social commentary, and demon-banishing, all made more potent through the sharp, playful, and incisive writing of Jennie Snyder Urman, Jessica O’Toole, Amy Rardin (all of Jane The Virgin), and their fellow writers. Short version: It’s good! Among the many reasons for its success is the strong trio of actors who lead the cast. Melonie Diaz, Madeleine Mantock, and Sarah Jeffery: They’re good! This week they seem destined for a bit of a workout, as all three encounter some personal problems that likely can’t be solved by a spell. Mel (Diaz) will deal with the fallout surrounding the death of Niko’s (Ellen Tamak) partner. Macy (Mantock) does some snooping into Galvin’s (Ser’Darius Blain) life, and might not like what she finds. And poor ol’ Maggie (Jeffrey) smooched the boyfriend of a sorority sister (Natalie Hall) last week, so that’s a whole thing. Yes, there will probably be spells and mysteries and plenty of juicy mythology, but being a person is quite hard enough by itself, know what we mean? Kayla Kumari Upadhyaya will support them, via recap, in their mutual time of need. Becoming Michelle: A First Lady’s Journey With Robin Roberts – A Special Edition Of 20/20 (ABC, 9 p.m.): Michelle Obama’s book, Becoming, comes out this week. Ahead of its publication, the former First Lady visited her childhood home on the South Side of Chicago with Robin Roberts, also visiting her high school. Presumably, somewhere in there, they made some time to talk about her book; we’re hoping Roberts asks Obama if she ever was transferring from the Purple Line to the Red Line and forgot to get off in time and ended up accidentally going all the way up to Evanston, because we hate it when that happens.